Law Web: Whether magistrate can close prosecution evidence if prosecution has failed to produce witnesses? Whether magistrate can close prosecution evidence if prosecution has failed to produce witnesses? 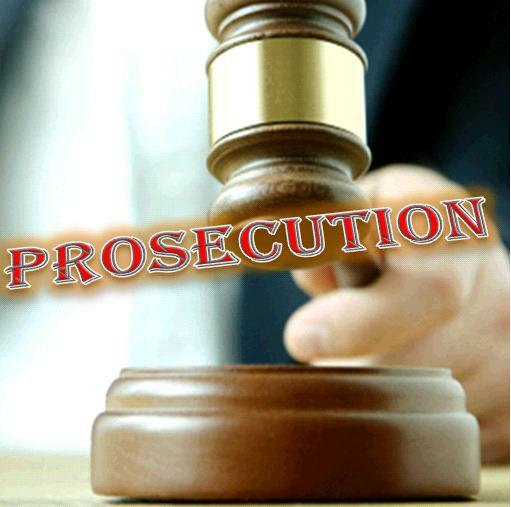 The Code of Criminal Procedure is comprehensive enough to enable the Magistrate to close the prosecution if the prosecution is unable to produce its witnesses inspite of repeated opportunities.Section 309(1) Cr. P.C. supports the above view as it enjoins expeditious holding of the proceedings and continuous examination of witnesses from day today. The section also provides for recording reasons for adjourning the case beyond the following day. (i) In cases where the trial is for an offence punishable with imprisonment for a period not exceeding seven years, whether the accused is in jail or not, the court shall close the prosecution evidence on completion of a period of two years from the date of recording the plea of the accused on the charges framed whether the prosecution has examined all the witnesses or not, within the said period and the court can proceed to the next step provided by law for the trial of the case. (ii) In such cases as mentioned above, if the accused has been in jail for a period of not less than one half of the maximum period of punishment prescribed for the offence, the trial court shall release the accused on bail forthwith on such conditions as it deems fit. (iii) If the offence under trial is punishable with imprisonment for a period exceeding 7 years, whether the accused is in jail or not, the court shall close the prosecution evidence on completion of three years from the date of recording the plea of the accused on the charge framed, whether the prosection has examined all the witnesses or not within the said period and the court can proceed to the next step provided by law for the trial of the case, unless for very exceptional reasons to be recorded and in the interest of justice the court considers it necessary to grant further time to the prosecution to adduce evidence beyond the aforesaid time limit. (v) Where the trial has been stayed by orders of court or by operation of law such time during which the stay was in force shall be excluded from the aforesaid period for closing prosecution evidence. The above directions will be in addition to and without prejudice to the directions issued by this Court in "Common Cause" Vs. Union of India (1996)(4) SCC 33) as modified by the same bench through the order reported in "Common Cause" a registered Society Vs. Union of India (1996) (6) SCC 775). Bench: Cji, K.T.Thomas and M Srinivasa JJ. Whether it is permissible to prescribe an outer limit for conclusion of all criminal proceedings? On November 2, 1982, a case was registered against the petitioner regarding an offence under Section 5(2) read with Section 5(1) (e) of the prevention of Corruption Act (Act 11 of 1947). A charge sheet was submitted on 30.8.1985 by the C.B.I. in which the alleged disproportionate assets of the petitioner as on 5.11.1982 amounted to Rs. 9.10.932.41 along with a list of 40 witnesses and 20 documents. The Special Judge, C.B.I., South Bihar, Patna took cognisance of the offences on 14.11.1986 and issued summons fixing 2.12.1986 as the date for appearance. On 24.4.1987, the petitioner appeared before court, applied for and obtained bail. The charges were framed by the Special Judge on 4.3.1993. Three withnesses were examined by the prosecution till 1.6.1995. 2.The petitioner filed a writ petition in the high Court of Patna on 5.12.1995 praying inter alia for quashing the entire prosecution including the F.I.R. on the ground that more than 13 years had elapsed since the institution of the F.I.R. and thus the right of the petitioner to speedy trial was violated.The petition registered as Cr. W.J.C. No. 809/95 was dismissed by the High Court on 7.12.1995 on the ground that the delay was due to the fact that there was only one Special Court of the C.B.I. functioning and a large number of cases were pending before it. It is the said order which is challenged in this petition. 2.The petitioner filed a writ petition in the High Court of Patna on 5.12.1995 praying inter alia for quashing the entire prosecution including the F.I.R on the ground that more than 13 years had elapsed since the institution of the F.I.R and thus the right of the petitioner to speedy trial was violated. The petition registered as Cr. W.J.C. No. 809/95 was dismissed by the High Court on 7.12.1995 on the ground that the delay was due to the ract that there was only one Special Court of the C.B.I. functioning and a large number of cases were pending before it. It is the said order which is challenged in this petition. "According to chargesheet there are as many as forty witnesses out of whom, the prosecution has examined till today only three witnesses. The last witness was examined on 3.9.93. Thereafter 36 adjournments were given to the prosecution for examination of remaining witnesses. However, the Prosecution has failed to examine any of the remaining witnesses. The next date fixed in the case for production of witness by the prosecution is 6.1.97. it would not be out of place that myself joined as Special Judge only on 21.9.96. thereafter I also directed the C.B.I. to produce witnesses." "However, on perusal of the order sheet it would appear that all the times despite the police papers being made available and inspection being completed, the accused with a view to delay framing of the charge, filed petition after petition for supply of police papers. Such petitions on behalf of the accused were nothing but a dilatory device to delay framing of the charge. Ultimately, charge was framed on 4.3.93; it is also true that only 3 PWs have been examined till date, for the only reason that there has been only one court of Special Judge at Patna hearing Special Cases of C.B.I. since 19.4.94 till date. It is also submitted that on a number of occasions the accused remained absent. No bailable warrant or nonbailable warrants could be obtained against the witnesses, as the trial court always remained busy in other cases. It is pertinent to mention that the Special Judge for C.B.I., is also Special judge for Vigilances Cases. The Special Court for C.B.I. also hears Sessions Trials and Civil Appeals and as such the Court is hardly left with time to hear exclusively the cases of Anti Corruption matters. Over and above, C.B.I. had 256 cases pending before the special judge in June. 1995, besides cases of Vigilance Department, Government of Bihar and other regular cases such as Cr. Appeals, Session trials entrusted to him by the District and Session Judge, Patna." 5.A rejoinder has been filed by the petitioner refuting the allegations in the counter-affidavit and reiterating that the delay in this case is entirely due to the fault of the prosecution which has prejudiced his fundamental right to speedy trial. It is stated therein that the prosecution failed to produce the documents on 48 occasions and failed to produce witnesses on 46 occasions. 6.The question before us is whether on the facts and circumstances of the case, the prosecution against the petitioner is to be quashed on the ground of delay in the conduct of trial. The petitioner has never suffered incarceration. As stated earlier, his application for bail was ordered on the day he appeared before the Court and presented the same. 7.The entitlement of the accused to speedy trial has been repeatedly emphasised by this Court. Through it is not enumerated as a fundamental right in the Constitution, this Court has recognized the same to be implicit in the spectrum of Article 21. In Hussainara Khatoon Versus Home Secretary, State of Bihar (1980) 1 S.C.C. 81, the Court while dealing with the cases of undertrials who had suffered long incarceration held that a procedure which keeps such large number of people behind bars without trial so long cannot possibly be regarded as reasonable, just or fair so as to be in conformity with the requirement of Article 21. The Court laid stress upon the need for enactment of a law to ensure reasonable, just and fair procedure which has creative connotation after Manoka Gandhi's case [(1978) 1 S.C.C.248)] in the matter of criminal trials. 8.In Hussainara Khatoon and others (IV) versus Home Secretary. State of Bihar, Patna (1980) 1 S.C.C 98 this Court held that financial constraints and priorities in expenditure would not enable the Government to avoid its duty to ensure speedy trial to the accused. 9.In State of Maharashtra versus Champalal Punjaji Shan (1981) 3 S.C.C. 610 the Court took cognizance of the fact that the prosecution would in some cases deliberately adopt delaying tactics to keep the accused persons in jail as long as possible and to harass them particularly when the evidence is of a weak character and the conviction is not a probable result. The Court also pointed out that the accused person may be seriously jeopardised in the conduct of his defence with the passage of time as witnesses for the defence may become unavailable and their memories may fail. However, the Court pointed out that a delayed trial is not necessarily an unfair trial and the delay may be occasioned by the tactics or the conduct of the accused himself. 10.In Madhu Mehta versus Union of India (1989) 4 S.C.C. 62 this Court commuted the death sentence to life imprisonment while holding that inordinate delay should be taken into account for purpose of deciding whether the execution of the sentence should be carried out or should be altered into imprisonment for life. The Court also observed that no fixed period of delay would be considered to be decisive. 1) Fair, just and reasonable procedure implicit in Article 21 of the Constitution creates a right in the accused to be tried speedily. Right to speedy trial is the right of the accused. The fact that a speedy trial is also in public interest or that it serves the social interest also does not make it any the less the right of the accused. It is in the interest of all concerned that the quilt or innocence of the accused is determined as quickly as possible in the circumstances. 2) Right to speedy trial flowing from Article 21 encompasses all the stages, namely the stage of investigation, inquiry, trial, appeal, revision and re-trial. That is how, this Court has understood this right and there is no reason to take a restricted view. (c) undue delay may well result in impairment of the ability of the accused to defend himself, whether on account of death, disappearance or non-availability of witnesses or otherwise. 4) At the same time, one cannot ignore the fact that it is usualy the accused who is interested in delaying the proceedings. As is often pointed out, "delay is a known defence tactic". Since the burden of proving the quilt of the accused lies upon the prosecution, delay ordinarily prejudices the prosecution. Non-availability of witnesses, disappearance of evidence by lapse of time really work against the interest of the prosecution. Of course, there may be cases where the prosecution, for whatever reason, also delays the proceedings. Therefore, in every case, where the right to speedy trial is alleged to have been infringed, the first question to be put and answered is - who is responsible for the delay? Proceedings taken by either party in good Maith to vindicate their rights and interest, as perceived by them, cannot be treated as delaying tactics nor can the time taken in pursuing such proceedings be counted towards delay. It goes without saying that frivolous proceedings or proceedings taken merely for delaying the day of rockoning cannot be treated as proceedings taken in good faith. The more fact that an application/petition is admitted and an order of stay granted by a superior court is by itself no proof that the proceeding is not frivolous. Very often these stays are obtained on ex-parte representation. 5) While determining whether undue delay has occurred (resulting in violation of Right to Speedy Trial) one must have regard to all the attendant circumstances, including nature of offence, number of accused and witnesses, the workload of the court concerned, prevailing local conditions and so on - what is called, the systemic delays. It is true that it is the obligation of the State to ensure a speedy trial and State includes judiciary as well, but a realistic and practical approach should be adopted in such matters instead of a pedantic one. ... the Sixth Amendment right to a speedy trial is necessarily relative, is consistent with delays, and has orderly expedition, rather than more speed, as its essential ingredients; and whether delay in completing a prosecution amounts to an unconstitutional deprivation of rights depends upon all the circumstances'. However, inordinately long delay may be taken as presumptive proof of prejudice. In this context, the fact of incarceration of accused will also be a relevant fact. The prosecution should not be allowed to become a persecution. But when does the prosecution become persecution, again depends upon the facts of a given case. 7) We cannot recognize or give effect to, what is called the 'demand' rule. An accused cannot try himself; he is tried by the court at the behest of the prosecution. Hence, an accused's plea of denial of speedy trial cannot be defeated by saying that the afccused did at no time demand a speedy trial. If in a given case, he did make such a demand and yet he was not tried speedily, it would be a plus point in his favour, but the mere non-asking for a speedy trial cannot be put against the accused. Even in USA, the relevance of demand rule has been substantially watered down in Barker and other succeeding cases. 8) Ultimately, the court has to balance and weigh the several relevant factors - balancing test or 'balancing process' - and determine in each case whether the right to speedy trial has been denied in a given cases. - including an order to conclude the trial within a fixed time where the trial is not concluded or reducing the sentence where the trial has concluded - as may be deemed just and equitable in the circumstances of the case. 10) It is neither advisable nor practicable to fix any timelimit for trial of offences. Any such rule is bound to be qualified one. Such rule cannot also be evolved merely to shift the burden of proving justification on to the shoulders of the prosecution. In every case of complaint of denial of right to speedy trial, it is primarily for the prosecution to justify and explain the delay. At the same time, it is the duty of the court to weigh all the circumstances of a given case before pronouncing upon the complaint. The Supreme Court of USA too has repeatedly refused to fix any such outer timelimit in spite of the Sixth Amendment. Nor do we think that not fixing any such outer limit ineffectuates the guarantee of right to speedy trial. 11) An objection based on denial of right to speedy trial and for relief on that account, should first be addressed to the High Court. Even if the High Court entertains such a plea, ordinarily it should not stay the proceedings, except in a case of grave and exceptional nature. Such proceedings in High Court must, however, be disposed of on a priority basis. "The concept of speedy trial is read into Article 21 as an essential part of fundamental right to life and liberty guaranteed and preserved under out Constitution. The right to speedy trial begins with the actual restraint imposed by arrest and consequent incarceration and continues at all stages, namely, the stage of investigation, enquiry, trial, appeal and revision so that any possible prejudice that may result from impermissible and avoidable delay from the time of the commission of the offence till it consummates into a finality, can be averted. In this context, it may be noted that the constitutional guarantee of speedy trial is properly reflected in Section 309 of the Code of criminal Procedure ................. Of course, no length of time is per se too long to pass scrutiny under this principle nor the accused is called upon the show the actual prejudice by delay of disposal of cases. On the other hand, the Court has to adopt a balancing approach by taking note of the possible prejudices and disadvantages to be suffered by the accused by avoidable delay and to determine whether the accused in a criminal proceeding has been deprived of his right of having speedy trial with unreasonable delay which could be identified by the factors - (1) length of delay, (2) the justification for the delay, (3) the accused's assertion of his right to speedy trial, and (4) prejudice caused to the accused by such delay. However, the fact of delay is dependent on the circumstances of each case because reasons for delay will very, such as delay in investigation on account of the widespread ramification of crimes and its designed network either nationally or internationally, the deliberate absence of witness or witnesses, crowded dockets on the file of the court etc." 13.The above observations have to be understood in the backdrop of the issues involved in that case. The constitutional validity of Terrorist and Deisruptive Activities (Prevention ) Act, 1987 (TADA) was questioned and a five judge bench was then considering various contentions including the possibility of persons accused of offences under TADA remaining in jail as under trial prisoners for long period on account of harsher and more stringent provisions relating to grant of bail. The observations made therein cannot, therefore, be read as in any way different from the observations made by the seven judge bench in AR Antulay (1992) (1) SCC 225). Hence, the legal position adumbrated by this court in AR Antulay that the right to speedy trial flows from Article 21 and it encompasses the stages right from the date of registration of the FIR and onwards remains unaltered. 14.But it has become necessary to consider the matter at some length and lay down the additional guidelines in view of the large pendency of the cases before the Special Court, Patna for more than two decades by now. There may be similar pendency in other States also. 15.The Code of Criminal Procedure is comprehensive enough to enable the Magistrate to close the prosecution if the prosecution is unable to produce its witnesses inspite of repeated opportunities.Section 309(1) Cr. P.C. supports the above view as it enjoins expeditious holding of the proceedings and continuous examination of witnesses from day today. The section also provides for recording reasons for adjourning the case beyond the following day. 17.In the result, we set aside the impugned order passed by the High Court and direct the Special Judge, C.B.I. South Bihar, Patna to pass appropriate orders in the case of the petitioner in pursuance of this judgment. The appeal is allowed accordingly. The State of Bihar shall constitute, within a period of three months from today, at least five Special Courts, to try the cases involving offences under the Prevention of Corruption Act 1988 or its corresponding previous Act with or without other offences allied to them. ...........CJI .............J ( K.T. Thoms ) .............J New Delhi October 8, 1998.